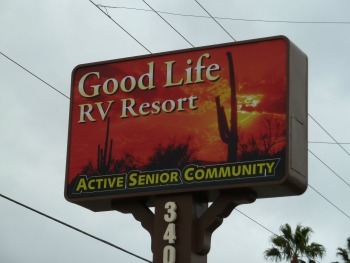 Here is the park that our friends referred to in the park model mobile homes page chose in Mesa, Arizona...it is aptly named. There are many park model communities such as this one to choose from...Here is the link to this particular park, it is age restricted, secure, and has the following activities to choose from from the list below. Prices for new homes in this project range from $69,000... to used homes starting at $22,000... our friends purchased their home for $15,000 in 2009, so prices have rebounded in the last three years... but still offer a great bargain... the Arizona weather is thrown in as part of the deal. Here is a partial list of the activities you can choose from. Like many park model communities, they offer separate pet and non-pet, sections. There is a synergy of being surrounded by like-minded people who choose to be just as active as they want to be. Our friends say that there is not enough time in the day to do all the things that they want to do... they also report that they are spending more and more time in Arizona versus their custom home that they have in Oregon... this speaks well for the relaxed lifestyle that they enjoy in Arizona. The term stationary cruise ship comes to mind when you think of all the activities that you have to choose from in a park model community... there is room for you too. Here is the bulletin board area listing the schedule of events for the various organizations that these communities contain. 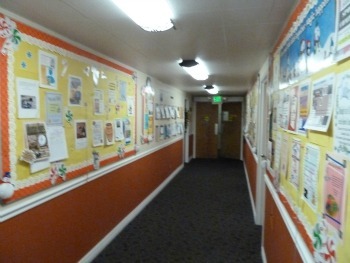 As we walked down this fall we were amazed at the variety of activities available to the residents. Remember not everyone, is interested in playing tennis, softball or other active activities... there are bridge clubs, clubs for grandmothers to show off pictures, etc.. If you are a Canadian, for instance, there were more than likely be a club with social activities for the Canadian winter visitors to the park.